Cheesy, I know, but I couldn't help myself! 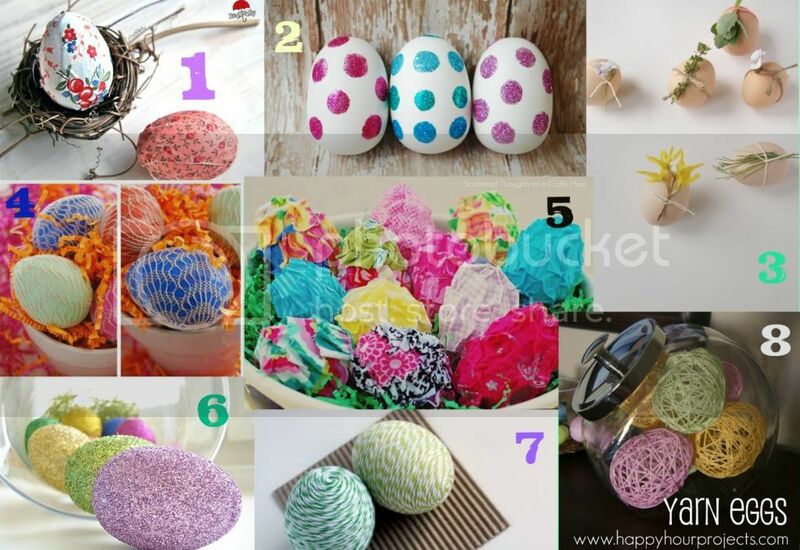 There are so many cute ways to decorate eggs out there. Between conferences for work, house hunting and spending time with friends and family I haven't had time to make some of my own so I've found some of my favorite ideas and put them all into one post. Go check out all of these lovely blogs and leave them some love! Each one has a tutorial so you can make your own. They're all incredibly cute ideas. I was going to say what my favorite was, but I don't think I can pick! Enjoy, and happy Easter! Thank you very much for featuring my Glittered Eggs! Have a lovely Easter! You're very welcome! They're too cute!! Oh, I love those natural ones. So simple but gorgeous. Great picks, Kelsey!